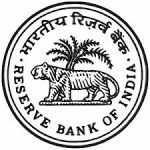 Reserve Bank of India Legal Consultant Vacancies. b) Master’s Degree / Ph.D in Law from a recognized university. Age (as on 01-09-2018): Should not be below 45 years and above 55 years. a) Essential: At least ‘seven years’ experience as an Advocate or as a Law Officer in the Legal Department of a large bank/financial institution /statutory corporation or in the Legal Department of Central/State Government or as a partner in a Law firm providing legal advice. (a) Three years in the case of OBC candidates, if the posts are reserved for them. Selection Procedure: Selection will be through interview only. Familiarity and capability of the candidate to deal with issues relating to Banking Regulation Act, 1949, RBI Act 1934 and FEMA ,1999, etc., inter alia may be judged during the interview. How to apply: Candidates have to apply only online through the Bank’s website i.e. www.rbi.org.infrom 21/09/2018 to 05/10/2018. No other means/mode of applications will be accepted.